She was first designed for a goddess named Regina in 1999. 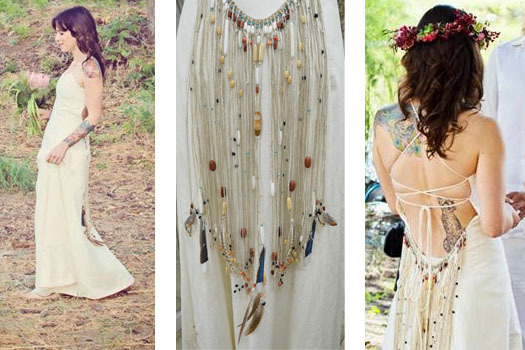 This bohemian wedding dress has since been customized for other goddesses; each version with a detachable train of macrame, beads, and seashells. And sometimes feathers. 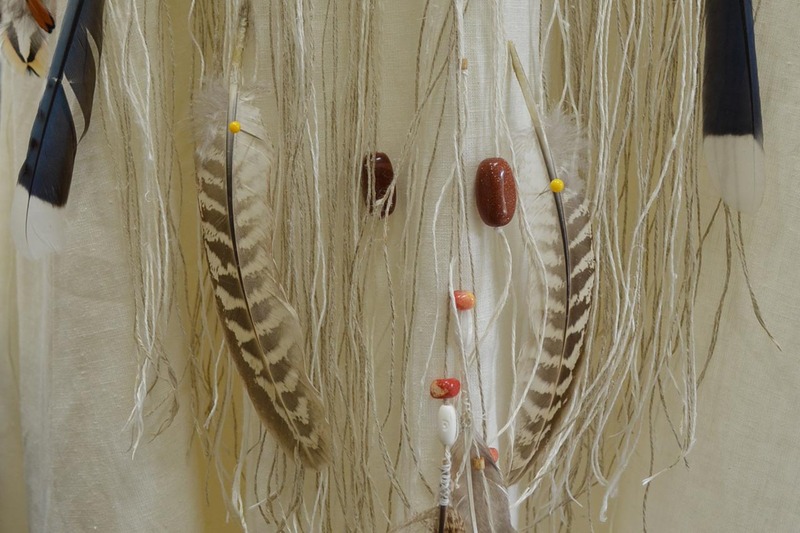 Each bead and feather was selected with Michelle’s vision in mind. 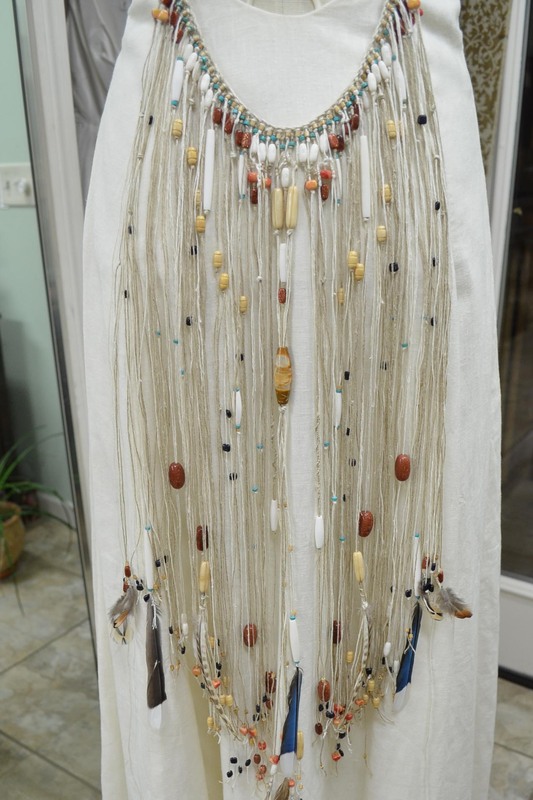 Inspired by Native American bone beaded clothing she requested precious stones, bone beads, coral, turquoise and feathers. 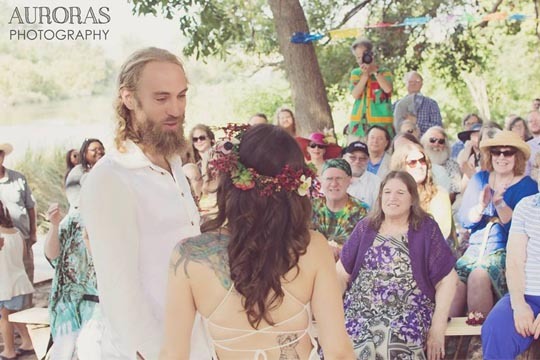 The hemp macrame train cascades down the back of her personalized bohemian wedding dress. 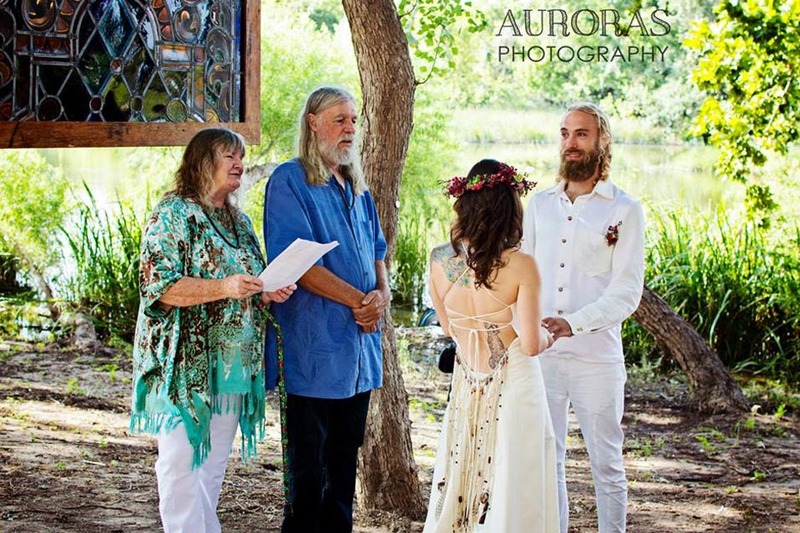 This eco-friendly wedding dress is made of hemp and organic cotton. The train is detachable and can be hung as beautiful decor in her home. The dress becomes a simple, lovely gown to wear in the future. She was a perfect choice for Michelle, an environmental scientist from Texas. Wedding photo below by Auroras Photography. The first born, and aptly named after the Greek Goddess of love and beauty. She divinely graces the female form in the softest of hemp and organic cotton. Regina found Tara Lynn at a hemp boutique in NYC in 1999. 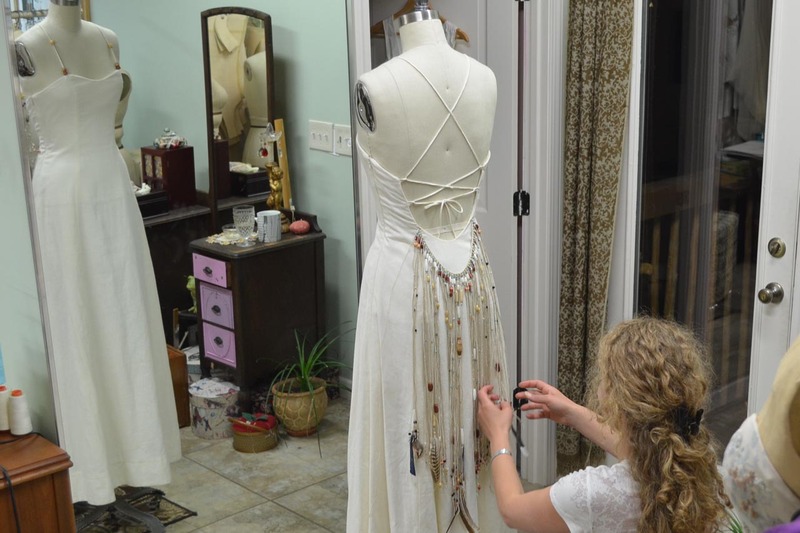 She requested a custom made hemp wedding dress. Tara Lynn designed for Regina the first Aphrodite wedding dress. 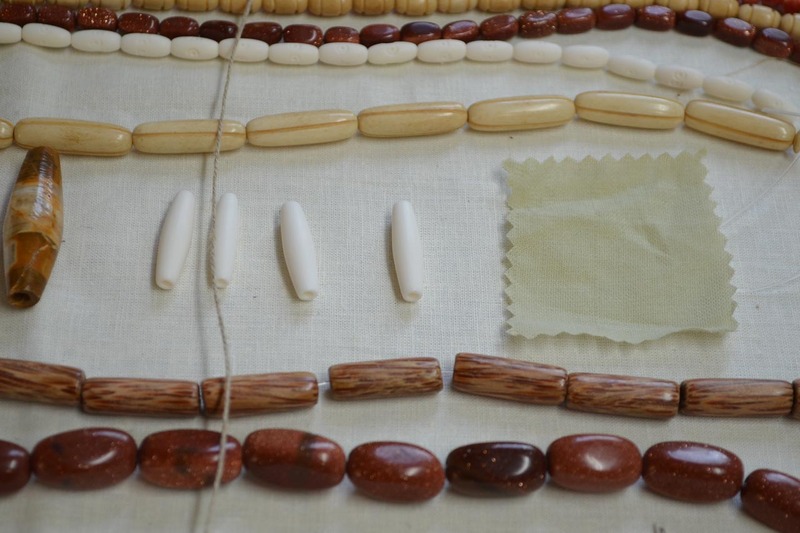 She was married in a field in New Paltz, NY where her train of seashells jingled down the aisle. Today Aphrodite is hand-made in Vermont. Work with Tara Lynn to create your unique version. Starting at $2,400 she is available in sizes 2-14. Custom sizes are an additional fee and require and in-house fitting. Each Aphrodite wedding dress is made-to-order and one-of-a-kind. Contact Tara Lynn for a fabric swatch. 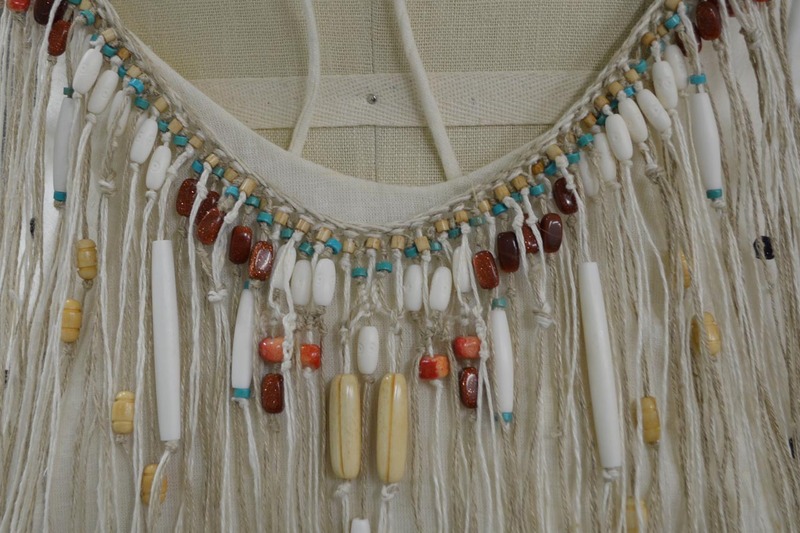 Like the featured dresses above, goddesses from around the world can request personalized macrame trains beaded with their favorite things; seashells, glass, wooden beads, charms, crystals, precious stones, and feathers. Clicking on images in this gallery will enlarge them. 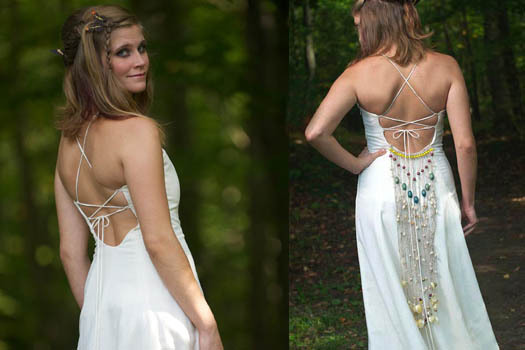 The slide show below features other examples of unique customized versions of the Aphrodite wedding dress. 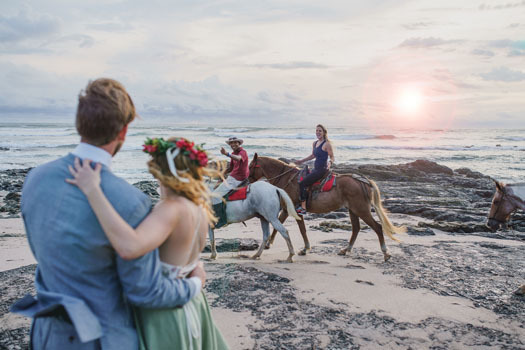 Following the buttons will take you to unique wedding stories and behind the scenes at Tara Lynn Bridal. They were taken at the magical Inn at Mountain View Farm in East Burke, VT.
Michelle shares her wedding photos with you. 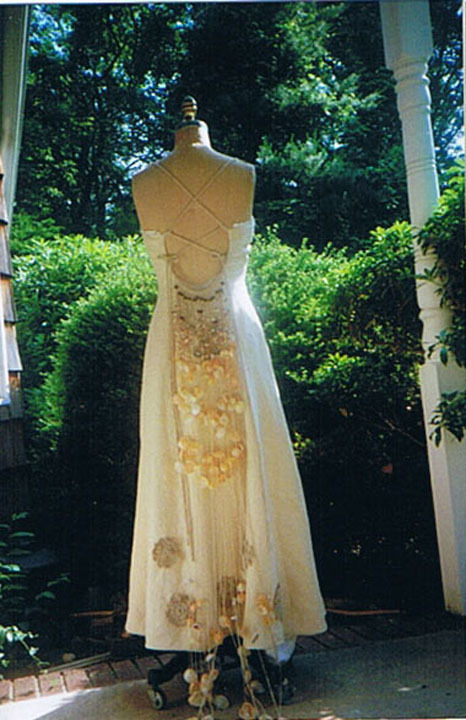 The Maia wedding dress with a large train of seashells and butterfly applique. 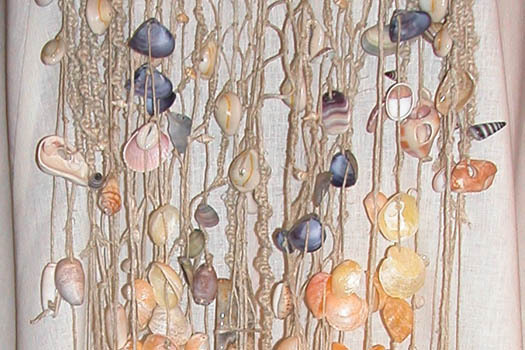 Made of hemp twine, seashells, crystals and stones. 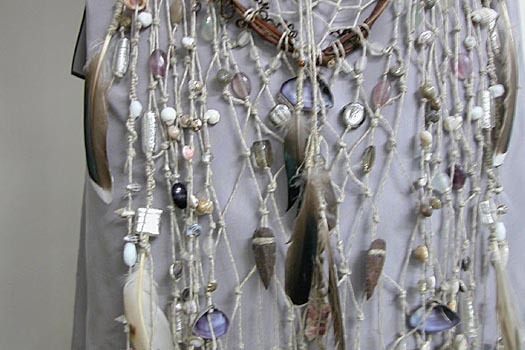 Willow branch, feathers collected by the groom, stone spearheads and beads. 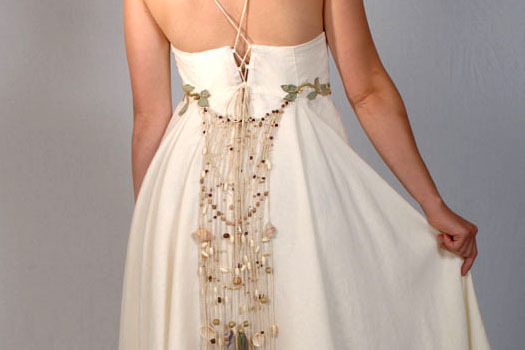 A hemp and cotton wedding dress with a macrame train beaded with seashells.